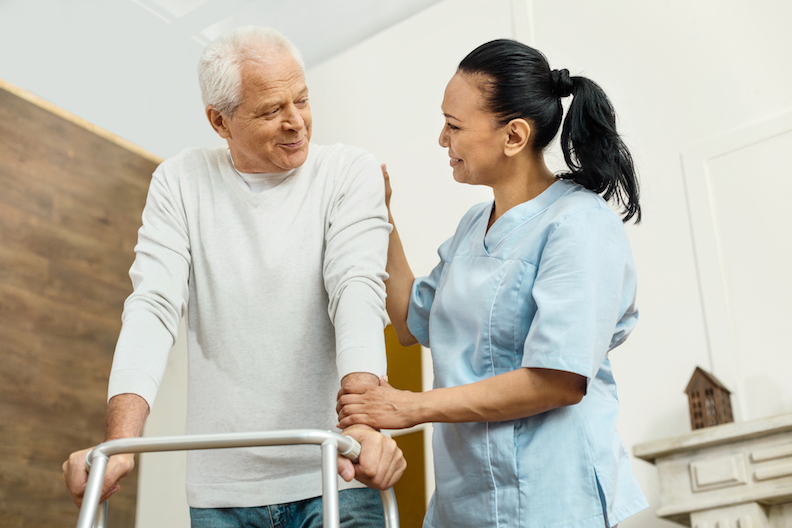 The goal of home care is not to decrease your loved one’s level of independence - in fact, one of the objectives of home care is to maintain seniors’ independence to whatever degree is safe and comfortable for them. The way you frame your conversation about home care will depend on your loved one’s individual needs and circumstances, but no matter how you intend to start the conversation, remember that when is also important. Pick a “non-eventful time” - holidays might be some of the few occasions your whole family is together, but they’re not necessarily the best time for a serious conversation about a major change. Additionally, try to avoid having conversations about care immediately after a tragic event. You might be worried about how your mother will fare alone in her home after your father’s death, but it’s best to give your loved one time and support to face one significant change before confronting them with another, even if life circumstances mean that you can only manage to put off the conversation for a few days. Reframing the conversation - as well as the other strategies listed here - may be inappropriate if your senior loved one has Alzheimer’s or dementia. Confusion or disorientation can make these conversations difficult, or even impossible, to have. If your loved one has dementia, it’s a good idea to speak with their doctor about the best way to approach the topic of home care with them. It’s unlikely that your elderly loved one will play a large role in setting up home care; research, financial planning, and conversations with the insurance company will probably fall to you and/or other family members. But don’t exclude your loved one entirely by merely telling them they will receive home care - seek their input and find out their preferences. If you are choosing between two caregivers, present their information to your loved one and ask for feedback. Ask your loved one if they would like assistance in the kitchen, or if they’d prefer that someone else took over the cooking entirely. If your loved one has acknowledged that they need some help, ask them what parts of their days in particular would be easier with the presence of a helping hand. It might also be useful to let your loved one know how their acceptance of home care will be a helpful act. Let them know that it would help you if a caregiver could come into the home four days a week so that you no longer have to work from home, or just how much knowing that a caregiver is present in the evenings will keep you from worrying. It may be obvious to you that your father needs assistance from a caregiver everyday, but wanting him to acquiesce to that proposal immediately is quite a big ask. If possible, start off your loved one’s home care experience with a trial period. For example: propose that for the next month, a caregiver will visit your father for five hours per day each Tuesday and Thursday, and at the end of the month, the two of you can revisit the conversation. Your father might not be particularly pleased by this proposal, but it’s a far less overwhelming arrangement than abruptly adding another person into his life and into his routines every single day. A trial period will give your loved one time to adjust to receiving care, and while they might not be brimming with enthusiasm about home care by the end of the trial period, it’s very likely that they’ll have a much better understanding of just how useful help from a caregiver can be. One of the best ways to make your loved one comfortable with receiving home care is to find the caregiver who is right for them. When you’re looking at potential caregivers, your first concern will be your loved one’s health and their daily needs, so you’ll want to seek out caregivers who have experience caring for seniors who have dementia or Alzheimer’s, or who are trained to use Hoyer lifts, or whose references say they’re highly skilled at getting their clients to eat three meals a day - or whatever else the case might be. Once you’ve identified a shortlist of caregivers whose skills are right for your loved one, look past the things they need from a caregiver, and think about the things that would make a caregiver a good match on a personal level. Perhaps your loved one enjoys telling stories about their past experiences, and would be fulfilled by spending time with an outgoing caregiver who can easily keep up their end of a conversation, or perhaps your loved one has always been rather reserved, and would prefer a caregiver who also has a calm, quiet demeanor, and can spend a couple hours each evening in companionable silence. Mavencare always aims to match clients with a caregiver who ‘fits.’ We look at health and care needs, and then we look at lots of other things too, like whether there is a caregiver available who speaks your loved one’s first language, or who is skilled in cooking their favourite cuisine, or whose cultural values align with their own, or who enjoys playing chess, or who also loves cats - the list goes on. Often, seniors and caregivers end up spending quite a bit of time together. At Mavencare, we want all those hours to be as enjoyable and relaxing as they can be, so we take the time to look at all the factors that make that possible. Mavencare’s care coordinators are aware of all the various reasons your elderly loved one might be resistant to the idea of care, and are empathetic toward both seniors who have reservations about receiving home care, and toward their families who wish to see them healthy, safe, and happy in their homes. Because of this, Mavencare care coordinators are more than happy to help you navigate conversations with a loved one who does not wish to receive care. Care coordinators can assist by supplying reading materials that might help families better understand their loved one’s resistance and reframe the conversation around home care. If you and your family feel it would be helpful, care coordinators can also arrange to meet with you and your senior loved one at their home, where they can answer questions and address concerns. If you and the loved one you’re seeking care for live in separate places, care coordinators are able to organize conference calls so that each family member can have a voice in the conversation. If your loved one is hesitant about what kind of relationship they might have with their caregiver, Mavencare care coordinators can also arrange meet-and-greet sessions in which your family will sit down with each of the caregivers on a carefully selected shortlist to determine which caregiver’s demeanor will complement your loved one’s personality best. It’s important to everyone at Mavencare that your loved one’s care arrangements are suited not only to their home health needs, but also to their level of comfort when it comes to home care. Just like you, Mavencare care coordinators want your loved one to continue to live in their home peacefully, happily, and safely - and a big part of this is making sure their home care experience is a comfortable one.